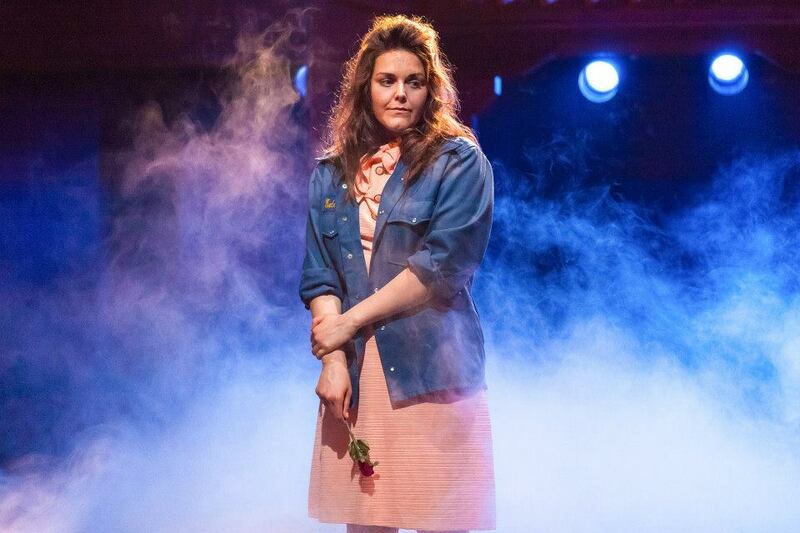 Dogfight is a heartfelt musical stuffed full of next generation talent & gorgeous songs. The crux of the show tells the story of tough marine Eddie Birdlace, who on his last night before going to fight in Vietnam is taking part in the Dogfight. The Dogfight a cruel competition amongst the marines on their last night of freedom to find the ugliest girl and win big money. A chance encounter with the delightful ditty singing & voluptuous Rose in a local diner leads Eddie to take her as his entry to the competition. However, he falls for Rose and realises the true extent of the stupidity of the Dogfight along the way. The 2 hour long show packs in the punches with an exquisitely performed score (think Hairspray + Grease with soul) including a beautiful strings section. The highlights for me were definitely the change of pace in the second half including an explosive sequence referencing the real horrors of war that faced the marines. The performances of the main couple are outstanding with Jamie Muscato giving us some big beautiful ballads and Laura Jane Matthewson giving us a sincere & poignant atmosphere to her performances. The wow moment for us came with Rebecca Trehearn’s Marcy (a call girl who is hired to compete in the dog fight) and Rose’s powerful duet ‘Dogfight’, the hairs on the back of my neck stood as the duelling voices soared. Our only criticism is possibly that the phrase ‘the stakes have never been lower’ kept reverberating around my mind. The heroine Rose did not seem to be painted in a way you truly felt sorry for her and the Dogfight scene itself could have been a lot more gruesome and humiliating to truly get some pathos going. That said this coming of age of musical features some supreme heavyweight talent and is a must-see for fans of new musicals everywhere!